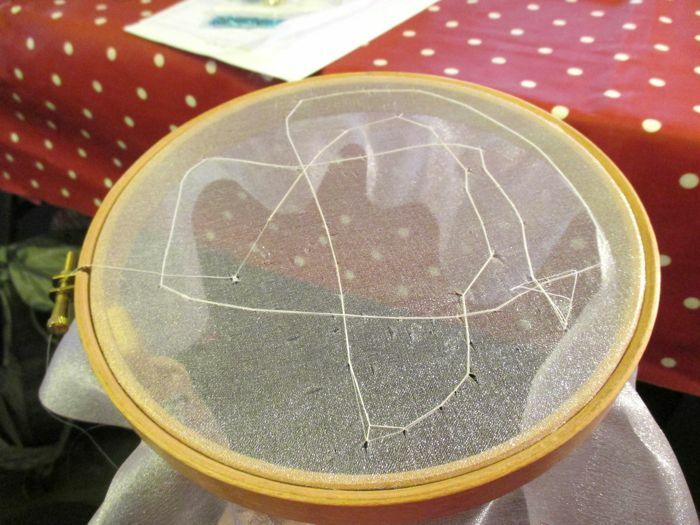 I've been spending a lot of time at Kensington Palace -- visiting fashion exhibits, touring Kensington Gardens and now I've taken a tambour beading class. That's right, my friends. 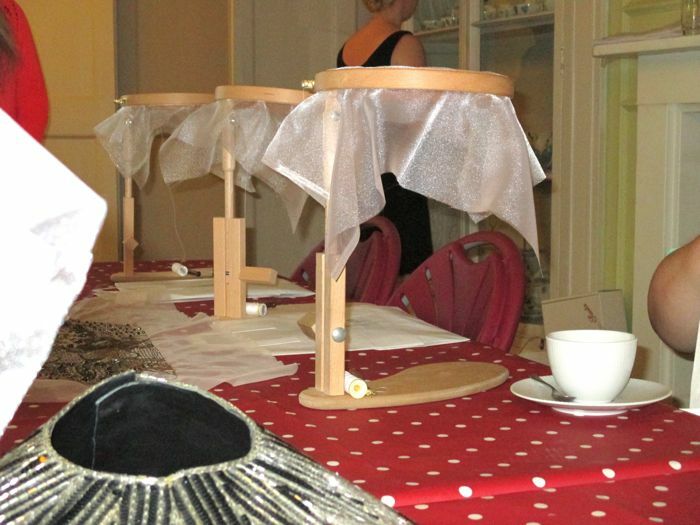 Kensington Palace has arts and crafts time for adults. Above you can see two examples of tambour beading. 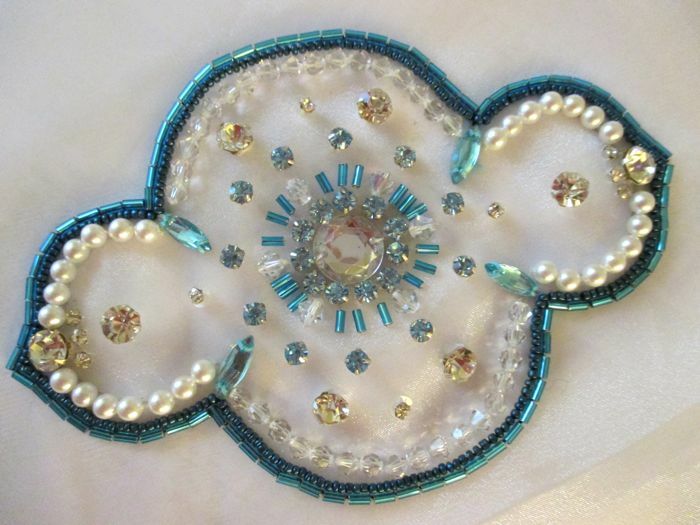 Whenever you see beading on dresses or clothes of any kind, it almost always is tambour beading. The beading on the Queen's dresses that I showed you yesterday on the blog and the beading on Jenny Packham's dresses are both tambour beading. 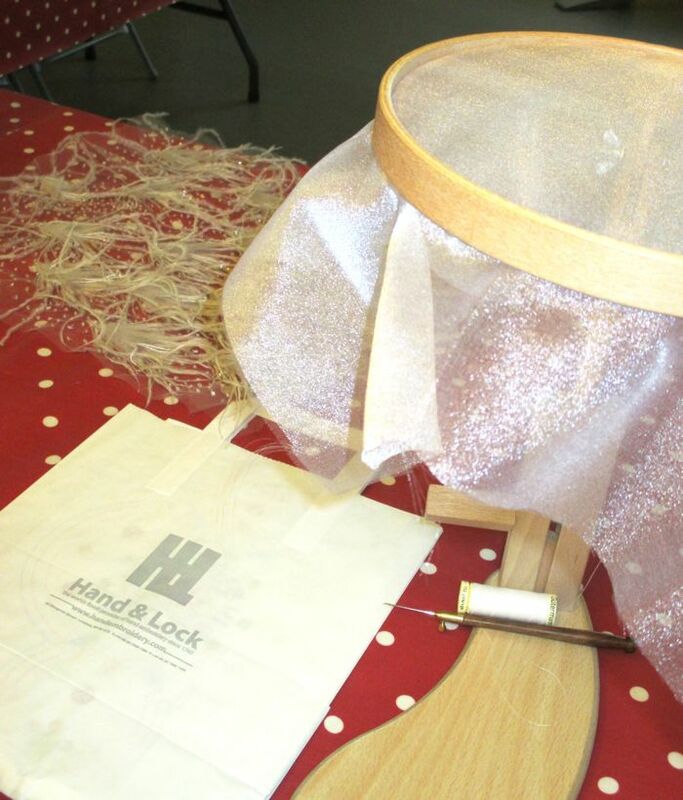 The class was taught by Hand & Lock embroiderers, which is basically the best hand embroidery company in the entire world. Most other companies got their start by apprenticing at Hand & Lock. Established in 1767, much of their business today consists of working with the fashion industry. They did a recent Louis Vuitton collection, and they even do personal commissions for wedding dresses! 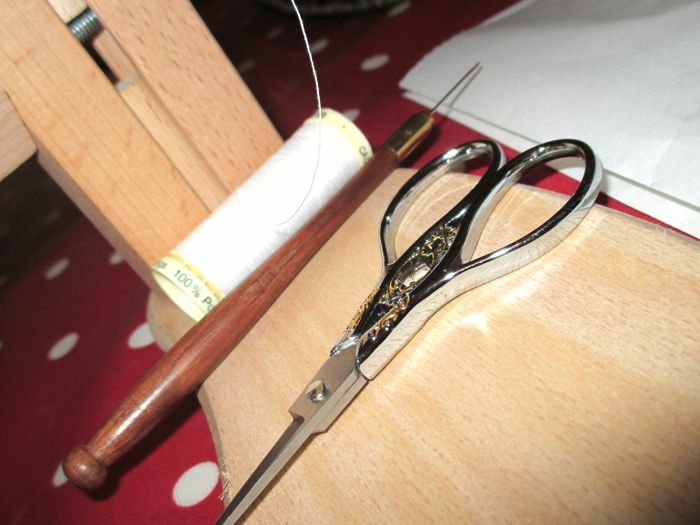 I adore sewing scissors. So many of them have such unique and individualized designs. One of my most treasured possessions is the pair of sewing scissors my mother gave me as I was getting more and more into needlepointing. 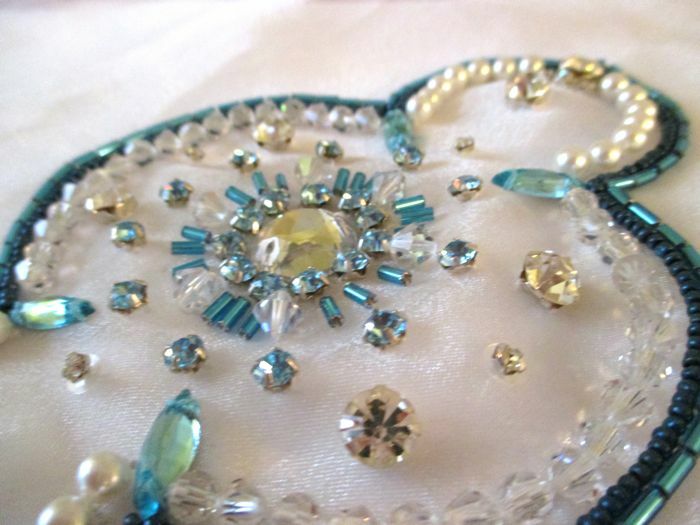 The tambour beading process essentially is just a crochet stitch, which sounds easy enough. But add some fabric in between your stitches and it took me an entire hour to get the hang of it. The good news is, once you do get the hang of it, it's pretty smooth sailing. 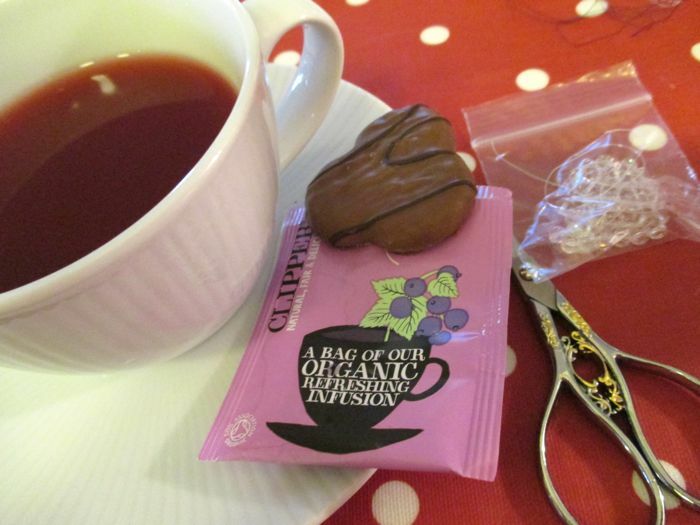 After spending the morning practicing our stitching, we, of course, had to break for tea. It wouldn't be London without one! 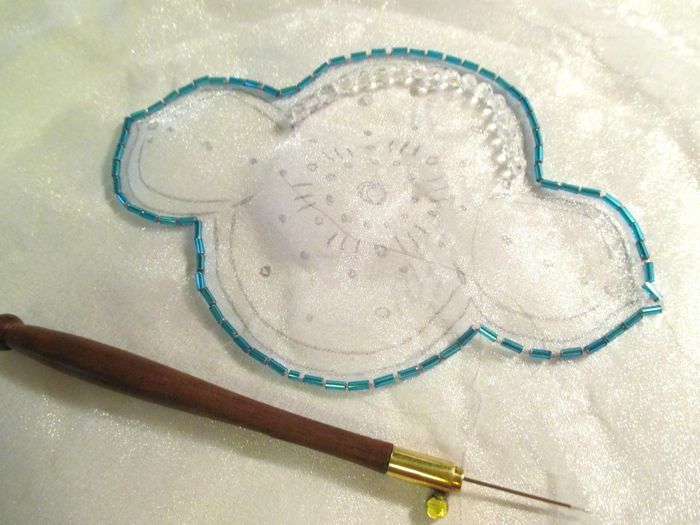 In the afternoon, we worked on our actual beaded design. 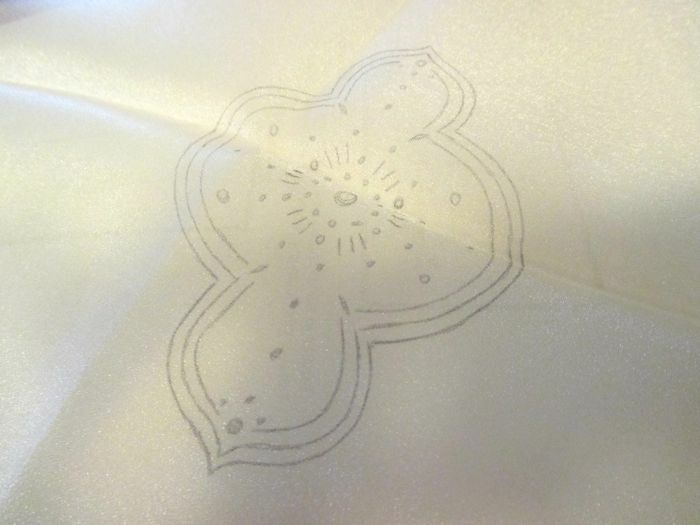 Here is the sketch on my fabric of what I would be beading. 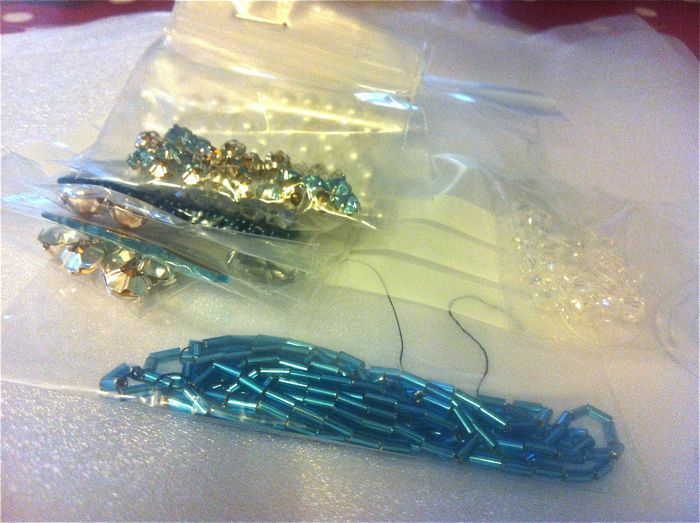 Lots of different types of beads! I actually found it much easier to do the stitching with the beads involved. 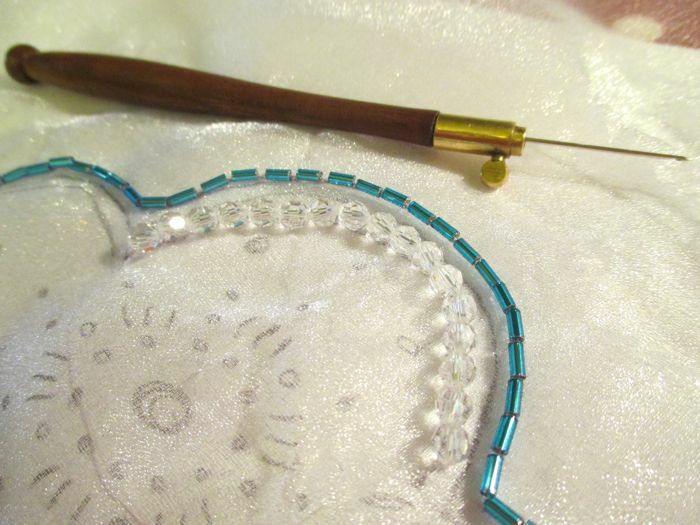 The beads have a way of anchoring the thread and helping tighten your stitches. Finished product by the ladies of Hand & Lock (I'm still working on mine)! Way impressed friend! So fun! So cool! I will need some lessons from you when you're back in the States! It was so fun -- I think you would love it!